Design and Determination as established to discuss the design and determination of globalised technologies. It is a working site created on the publication of the book of the same name by Ashgate in September 2004. Knowledge Links is a working site created to allow discussion of issues raised in the Open University Business School MBA elective "Managing Knowledge", currently completing its sixth presentation. Archiving_Practice is the site created as an on-line archive for the 10th APROS Colloquium held in Oaxaca, Mexico in December 2003.
savethePicket is a campaign site in support of the Picket music venue in Liverpool which is under threat, in part as a consequence of the city's success in its bid to be European Capital of Culture in 2008. Transport and Society Network contains a range of transport related resources, and access to the full range of virtual journeys developed by the members of the Odyssey Group. Township Transport was created collectively in Africa in 1998 and has inspired two related sites looking at the convergence of technologies which permit intelligent transport strategies. Townsville Transport was created in December 2000 and collates Australian material. Tatra Transport was established in 2002 as a collecting point for examples of practice, good and bad from around the world. Odyssey Group 2008 A series of meetings for 2008 held during 2008. To be archived at Odyssey Group site. Odyssey Group 2007 is the site for the 2007 Odyssey meeting on Accessibility, Tourism and Development jointly hosted by the Open University, U.K., Erasmus University, Netherlands and Rikkyo University, Japan. The meeting use face-to-face and remote participation to develop open source learning materials. Odyssey Group 2006 records three meetings held between February and September in New York, Lancaster and Ljubljana which explored the themes of global unionism, social movements and the internet. Migration, Identity and New Information Technology is the site created during the 2004 Odyssey Group meeting hosted by the University of Ulster, Jordanstown in August 2004. North_East_Age is a site developed to host an on-line symposium at the Moor Park Community Centre, North Tyneside, U.K. in July 2003.
csps_maps was created in 2001 as part of an Odyssey Group meeting hosted by the CSPS, University of Ghana, Legon. It made existing social data produced within Ghana available globally. "Science entrepreneurs need better business skills" New Scientist 23 February 2008. 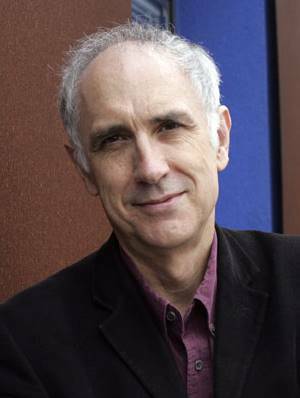 Stephen Little was among a number of business and management educators and students who contributed to this article which discusses the value of business knowledge to scientists and technologists. Little S.E. 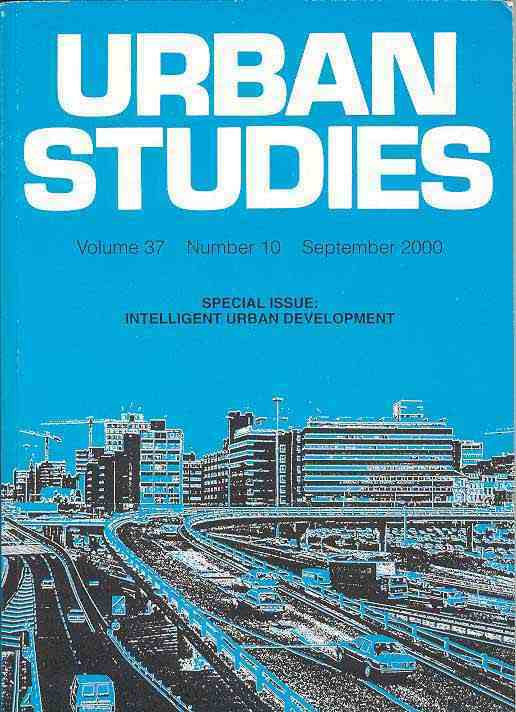 (2006)The social impacts of intelligent infrastructure on transport (644kb pdf format) a "state of science review" for the DTI Foresight Project on Intelligent Infrastructure Systems. Design and Determination: the role of information technology in redressing regional inequities in the development process is a book in the Voices in Development Series with Ashgate Publishing, Aldershot. 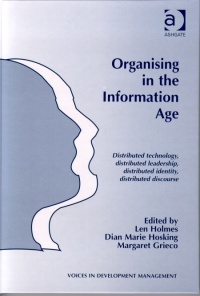 Relocating Skill in an Information age - an African experience includes a 272kb pdf file consisting of a set of overheads prepared for a MKIRU Seminar at the Open University Business School in October 2001.
edited by Margaret Grieco, Stephen Little and Kenneth Macdonald, published November 2003. 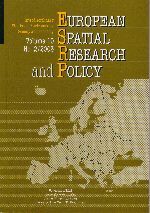 A special issue on electronic data interchange, metadata and metagovernance. For the third presentation of B823 "Managing Knowledge" the OUBS co-published a revised set of readings with Sage as Little S.E. Quintas P. & Ray T.E. 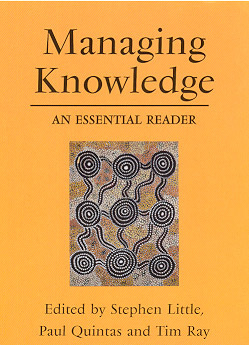 (Eds) (2002) Managing Knowledge: An Essential Reader Sage Publications, London, ISBN 0-7619-7213-7. 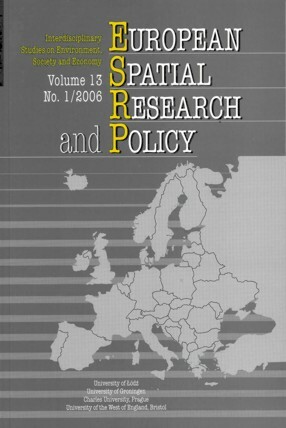 The book includes several original chapters by course team members which frame a collection of key articles. Thorpe R. & Little S.E. 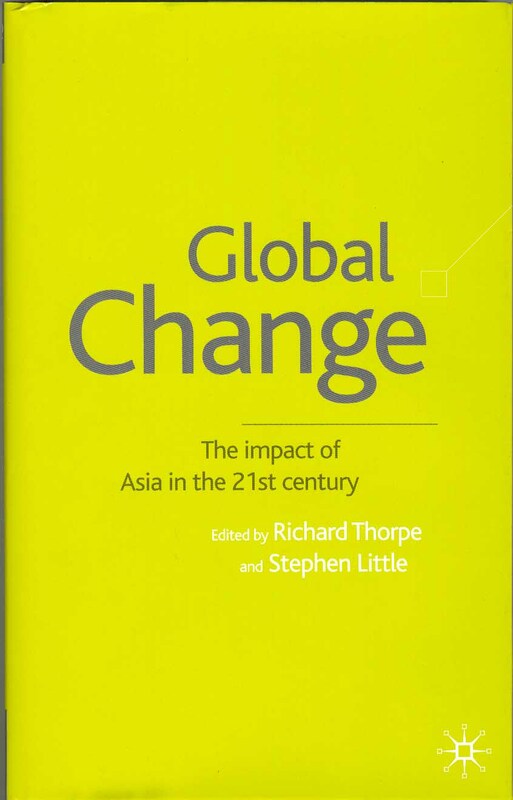 (eds) (2001) Global Change: the Impact of Asia in the 21st Century Palgrave, London, ISBN 0-333-92006-6.